1. Insert ",and please be quick about it; our nation is falling apart!!" between "...& courage" and the period. and 2. Delete "may his critics be put to shame" because if God did that, he would be ultimately violating the 1st Amendment. 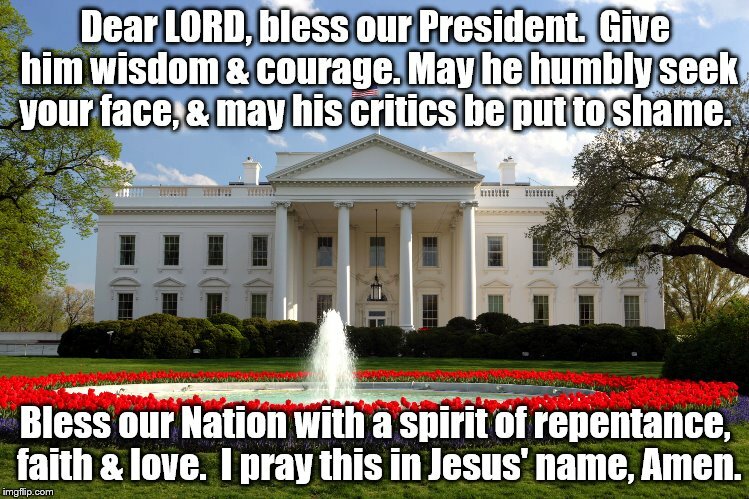 Dear LORD, bless our President. Give him wisdom & courage. May he humbly seek your face, & may his critics be put to shame. Bless our Nation with a spirit of repentance, faith & love. I pray this in Jesus' name, Amen.